Neverwinter is a free MMORPG from Cryptic Studios, the team responsible for Star Trek Online and Champions Online. This free-to-play online RPG is one of the best recreations of the Dungeons & Dragons universe to date, offering exciting combat where you really feel the weight of your character’s movements. The game world is lush and a pleasure to behold, while the Foundry, Neverwinter’s content creation system, allows players to create their exciting and unique adventures and share them with the community. 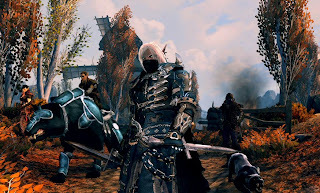 Neverwinter is one of the best MMORPGs of 2013 and one that any fan of the genre – D&D fan or not – should play.